Tired of winter and the snow? Ready for sun and for summer camp? So are we! Here at Fun Express, we’ve brought in thousands of new items for the 2019 camp season! We’ve got you covered for summer camp or any other event or program you are planning for. Whether it’s arts and crafts, toys and novelties, party decorations, bulk candy, costumes or STEM/STEAM, we have more than 40,000 items to choose from! We also have the name brands you know and trust, including Crayola and Elmer’s. Let’s talk T-shirts. Did you know Fun Express prints custom T-shirts? Just send us your logo and we’ll make it happen. We have strong, strategic relationships with Fruit of the Loom, Gildan and Hanes and can print any quantity you need. We never charge a set-up fee and shipping is always free on orders over $125. We’ve also partnered with NRPA to promote the 2019 Park and Recreation Month in July. This year’s theme is GAME ON!, so contact us directly for your GAME ON! swag. Fun Express, the corporate accounts subsidiary of Oriental Trading Company, extends a 20 percent discount off the Oriental Trading Company retail price. Found a better price? No problem. We’ll beat any advertised price you can find! We’ve also eliminated the need to search for coupons or discount codes. Our Fun Express website has the prices already reduced to make it easier for you to shop and save money! Need a catalog, product samples or help planning for camp or identifying the right product for your programs? You can always contact Josh Mason, your dedicated park and recreation representative at Fun Express, at 402.939.3053. He’s always here to help. How do you get your 20 percent discount? 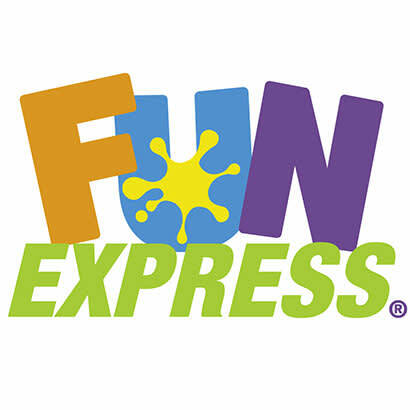 Visit the Fun Express website and request a password. You can also contact Josh and he will get you logged onto our Fun Express website immediately! Remember — when it comes to fun, we’re all business!